The Week in HD - Monday 15th October | What Hi-Fi? Welcome to The Week in HD - our guide to all the best high-definition TV shows, films, sports and Blu-rays to grace your screen. There are plenty of good films on this week, along with the much-awaited release of Avatar in 3D on Blu-ray – and let's not forget the grand final of The Great British Bake Off. Tonight. 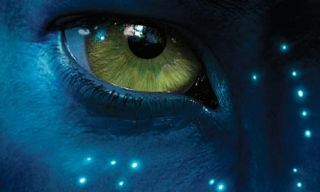 Finally getting its 3D home release is James Cameron's visually-stunning epic about the moon Pandora and its indeginous tribe, the Na'vi. Despite its thin storyline, the visual effects (especially that gorgeous glowy forest) are a joy to watch. Starring Sigourney Weaver, Sam Worthington, and Zoe Saldana. With the original Swedish adaptation of Stieg Larsson's novel starring Noomi Rapace being such a darkly intelligent and thrilling film, was there really any need for a Hollywood makeover? However, Daniel Craig and Rooney Mara more than hold their own, with David Fincher setting a gritty pace, and Mara gaining an Oscar nomination for her portrayal of hacker Lisbeth Salander. Simon Pegg and Nick Frost became household names with their playfully named romzomcom - a brilliantly funny horror film about a man winning back his ex-girlfriend while fighting a whole community of hungry zombies. Keep your eyes peeled for plenty of cameos from the likes of Martin Freeman, Dylan Moran, Reece Shearsmith, Bill Nighy, Tamsin Grieg, and a host of British media personalities. Here's a treat: Nina Simone's last-ever recorded concert, from Paris's Olympia in 1990 - featuring the classic hits of Mississippi Goddam, Blue Sky, and I Put A Spell On You – settle in for the night with the High Priestess of Soul. Jo Brand returns once more to guest host the satirical news quiz, with 5 Live presenter Richard Bacon joining Ian Hislop and Paul Merton. Joints. With Cal Wilson, Jack Whitehall, and Jimmy Carr joining Alan Davies and Stephen Fry. This is what it's all been boiling down to. After weeks of going back and forth between the Opposition and the Coalition, Mr Tickell's death has been the driving force into launching what we've been promised from the writers: a Leveson-style inquiry into the culture of leaking information, for the entire government. 'You might as well launch an inquiry into gravity,' despairs Pearson, but it's Tucker's pledge to tell 'the whole truth and nothing but the truth' that really sends a chill down the spine. There hasn't been an interesting enough line-up to recommend Ross's show so far...but tonight we have David Mitchell (new book!) AND Aerosmith (new album!). I adore Mitchell's pendantic and satirical style, and it'll be a sight for sore eyes with Steven Tyler and Joe Perry conversing next to him. Add in he's-funny-as-he-is-handsome Bradley Cooper, and music from Emeli Sande, and it should be one hell of a show. The brainchild of Quentin Tarantino and Uma Thurman, this love letter to martial arts-style revenge films sees a former master assassin hunt down her former teammates who left her for dead. Expect a great soundtrack, lots of bloodshed, and some great samurai-swordplay. Tristan Thorn, a young man from the village of Wall, travels to the adjoining Faerie land in search of a fallen star... who just happens to be a young woman. There's also a trio of witches set on consuming her heart for its immortal properties, seven brothers all fighting for the throne of Stormhold, and flying pirates that capture lightning... Neil Gaiman's wonderful fantasy story gets the silver screen treatment with an impressive cast that features: Mark Strong, Robert DeNiro, Dexter Fletcher, Claire Danes, Charlie Cox, Michelle Pfeiffer, Sienna Miller, Ricky Gervais – to name but a few. It's the first series finale, and as the news team prepares to defy the government and go ahead in presenting a controversial episode on the Suez crisis, Freddie also finds out what really happened to Ruth.